The year of 2016 was a very good year for Michael Fassbender. The year started off with loads of industry recognition for his work in Steve Jobs, and it ended with the fantastic Assassin's Creed. Not many actors have Michael's range of being nominated for an Oscar in one film, and starring in and producing in a video game adaptation of a popular video game. This year has been great for me as a Fassinator as I traveled great distances to see him being honored at public events, and supported and reviewed his films released in the past 12 months. As I reviewed the FF posts of this year, I realized that I shared a lot of frustrations earlier in the year related to the Hollywood awards game. Here are the highlights of Michael's career in 2016 as covered by Fassinating Fassbender! In the first of many honors for his brilliant work in Steve Jobs, Michael Fassbender was honored as International Star Actor Award at the Palm Springs International Film Festival. I flew to Palm Springs to attend this unique event. Michael was also in the middle of filming The Snowman in Norway, which is scheduled to be released in October of 2017. The Golden Globes was an embarrassing joke, and a few days later, Michael received his second Oscar nomination. At the height of Oscar season, Michael attended the BAFTAs in London and a week later, the Oscars in Los Angeles. I have nothing more to say. In these quiet months, the 4th annual birthday fundraiser hit our goal this year to help The Bike Experience! There are huge challenges in online fundraising in fan communities, so it made me proud that we could honor Michael this way in supporting a worthy charity and hitting our goal. Michael is down in Australia filming Alien: Covenant. It was announced that Michael's DMC Film will produce Entering Hades, a film about a real life Austrian serial killer. And while Michael is in Australia, he does his part to promote X-Men Apocalypse. The first trailer for Assassin's Creed is released! Michael is still filming in Australia and I get on the defense again about the fandom. I pulled the plug on the MF Weekly, and started the Michael Monday series. The Toronto Int'l Film Festival announced that Michael Fassbender will be their TIFF Soiree honoree in September! I was so shocked and happy to learn of this news, but I had to make a quick decision about if I would be able to attend or not. Just coming back from a week in Europe, and planning my move to California, I made the decision earlier in the year to skip TIFF. A few days later, I decided to attend... of course. Michael finishes filming Alien Covenant and flies to London to chill for a little bit. He is spotted at Scott's restaurant with Ridley Scott, Ridley's wife, and producer Daniel Emmerson. Michael started promotion work for the upcoming release of The Light Between Oceans with his co-star, Alicia Vikander. Michael and Alicia are at the height of promotion work for The Light Between Oceans, I saw it and loved it (review). They attend the premiere of it at the Venice Film Festival, and the next week, Michael is attending the TIFF Soiree and the festival to premiere Trespass Against Us. In an interview with Collider.com, Michael announces that he will go on a 6-8 months break from filming to concentrate on producing work. Driving to Toronto twice within 3 days was tiring and stressful, but a necessary thing for the editor of Fassinating Fassbender. I had a blast and it was just an honor for me to go to my favorite film festival to cover and support the Soiree event and a film screening for Michael Fassbender. Michael receives a civilian honor in his hometown of Killarney by the Order of Innisfallen. This month I relocate to California. I recruit the assistance of April K to help update the blog and she will be the backup for the blog indefinitely. The Light Between Oceans is released in the UK on 1 November. The US election results put a severe damper on the remainder of the month, but British GQ and British Esquire try to lighten the mood by ending the year featuring Michael as their cover story. A massive worldwide promotion for Assassin's Creed begins in Australia. We are in full Assassin's Creed (review) mode with high anticipation for this film. Michael is all over the place in promoting AC! Killarney Today features an interview with Michael Fassbender that is released over four days and shares never before seen images of Michael in his youth. The first trailer for Alien Covenant is released and it looks brilliant and bloody scary. 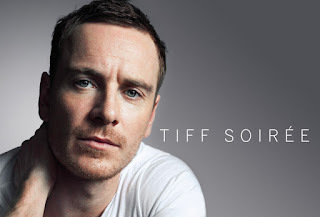 Fassinating Fassbender Facebook has surpassed the 1,000 Likes milestone! He's the best, the greatest and the news from all over the world for his "Assassin's Creed" makes me smile (despite a Trump in the White House!). Results are in for the first weekend's take and it is good. European and Russian movie goers flocked to see the film. It looks as if the film will cover itself and make a profit. Yeah! By the time the world will have seen it, it may come out as the biggest money maker in a games category. So much for the critics. Why not get up a movement to ban all film critics? As being un-educational, self-ego-boosting and completely unnecessary. Why should someone who is not ME decide what I would like to see anyway? Shall we form a movement? You got that right Gisa, AC is doing excellent worldwide, and it may surpass the highest earning Resident Evil film that earned about $248 million worldwide, w/o inflation calculations. I'm very proud of Michael and DMC Film and I knew this would do well worldwide. The US critics focus too much on domestic earnings and are too eager to smack a film as a flop if it supposedly doesn't hit domestic box office expectations.